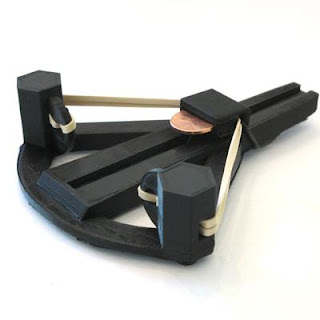 This nefarious device can launch a U.S. penny across a room with ease. This miniature weapon packs a little more oomph than the Zheng3 Penny Catapult, and is a natural first upgrade for many Seej Players. Build a 3D Printer That You Can Take Anywhere!